New Last Minute Deals and better than Half Price promotion! 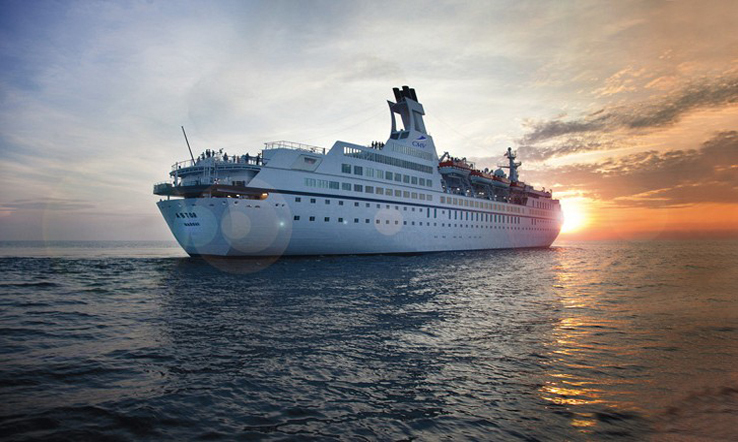 Cruise and Maritime Voyages are a popular, independent British cruise line, priding themselves on offering a traditional, leisurely cruising experience. Sailing from convenient UK ports, their small-sized ships sail to an array of intriguing destinations. 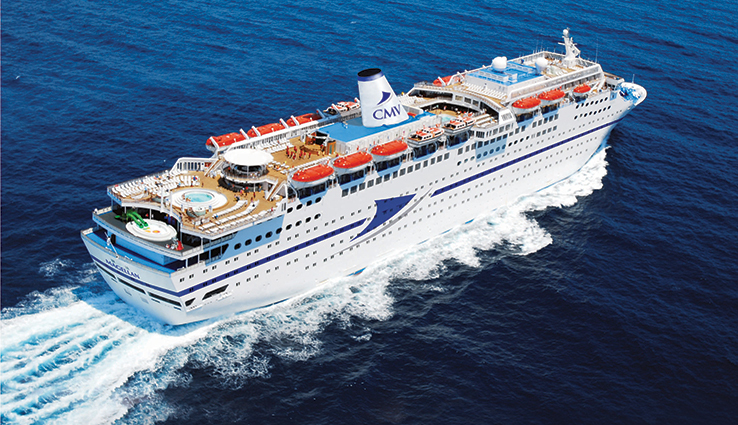 CMV offer relaxed, intimate cruises and great value for money, ideal for first-time cruisers and those looking for a no-fly cruise. 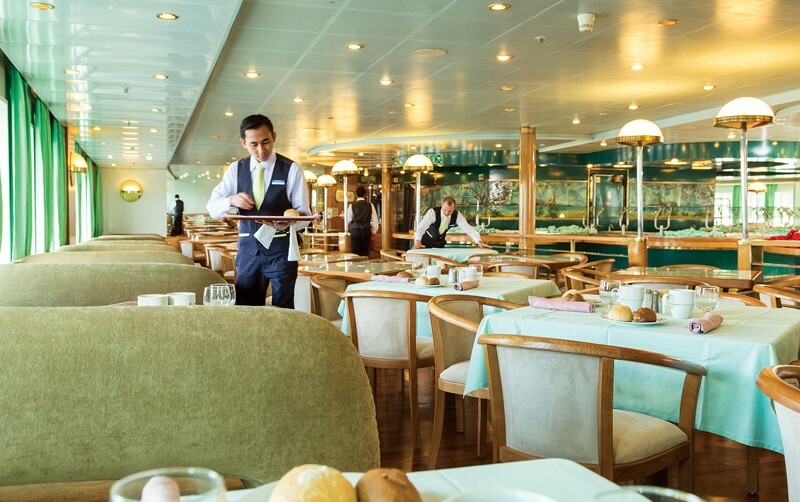 Cruise and Maritime Voyages offer an impeccable, luxury standard of friendly and attentive service throughout each of their cruise ships. 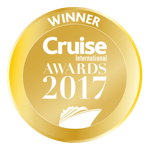 This is reflected in 95% of guests rating their cruise experience with Cruise and Maritime Voyages as either excellent or good. Meanwhile, Cruise and Maritime ships are adult-only unless hosting a special multigenerational sailing. 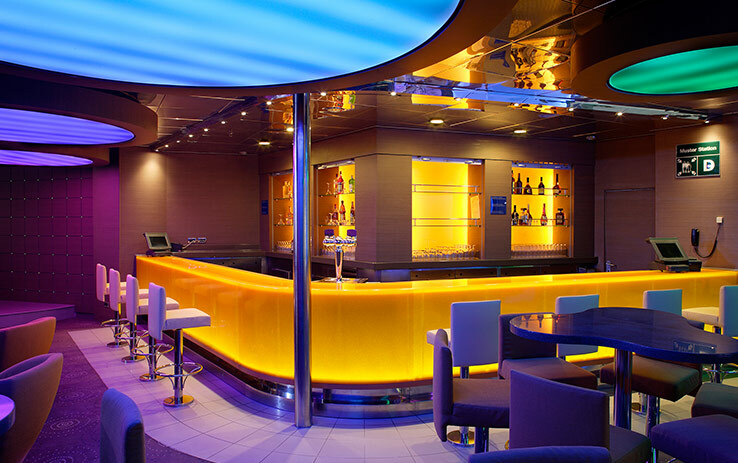 This makes them perfect for those wanting some peace and relaxation with like-minded cruise-goers. 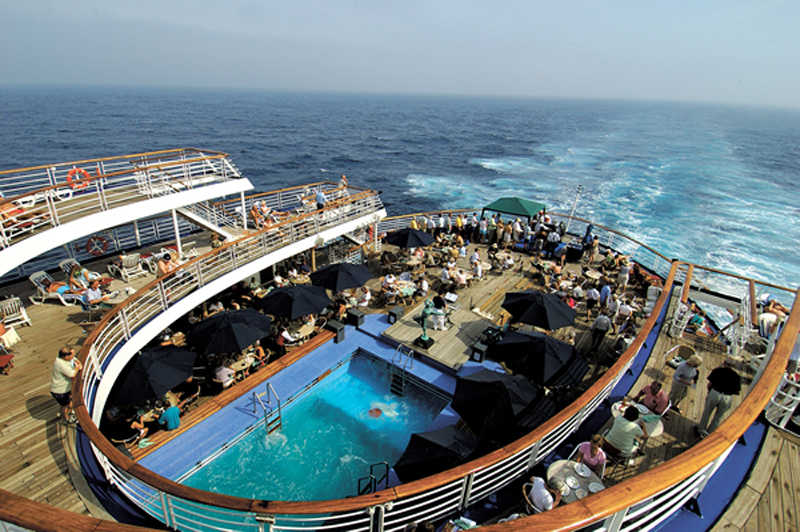 Although usually a famously adult-only cruise line, with no specific children’s facilities, in the school holidays Cruise and Maritime do provide special multi-generational sailings for families by popular request of their loyal cruise fans. 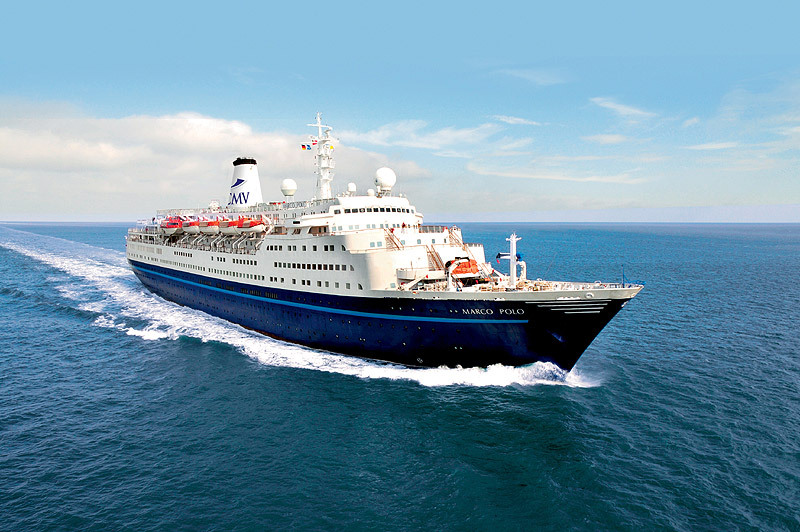 Solo travellers are also well looked after by CMV, with a good range of single occupancy cabins aboard each ship, often with fantastic rates for singles, as well as dedicated meet and greet events to make everyone feel truly welcome and at home. 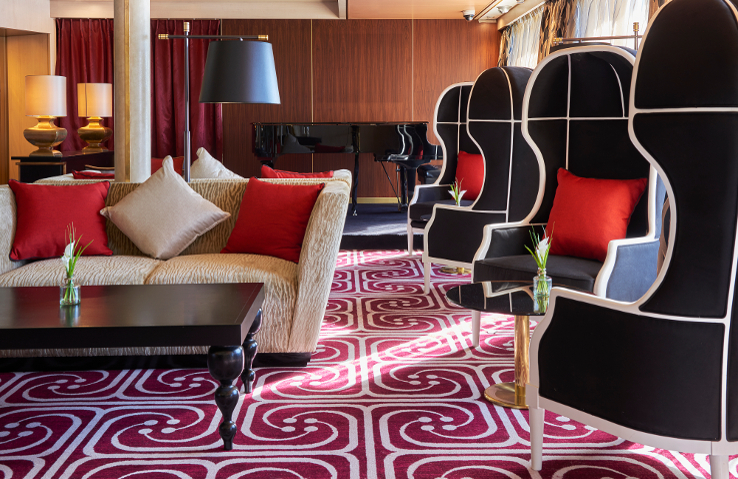 Cruise and Maritime Voyages are also proud to partner with Whittard of Chelsea, who provide their luxury teas and chocolate drinks complementarily onboard Columbus, Magellan and Marco Polo. 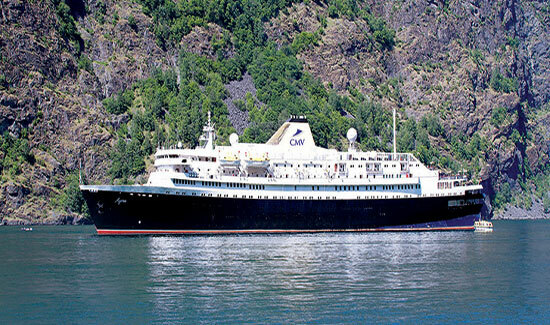 Cruise and Maritime Voyages’ fleet of six small and medium-sized ships are perfect for going to ports other larger ships are unable to access. This, coupled with fascinating enrichment presentations and craft workshops hosted by experts, make you experience every iconic port to the fullest. 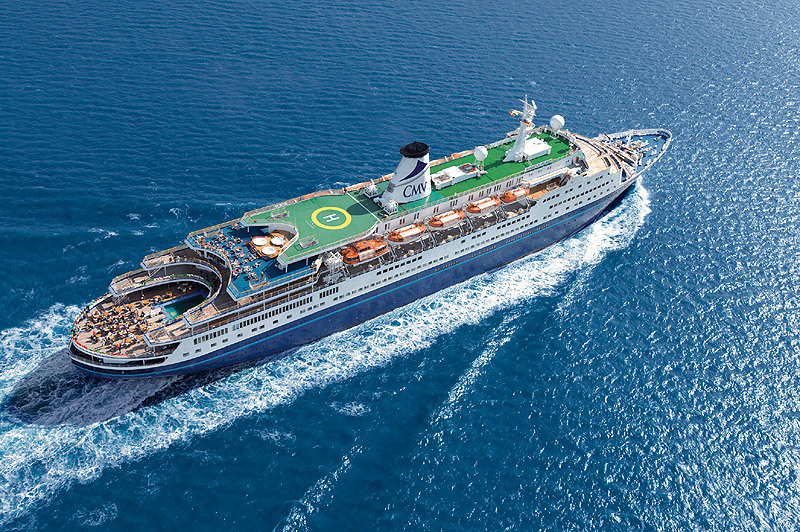 Vasco da Gama- joining the CMV fleet in 2019, guests can look forward to a solarium-style indoor pool area with retractable roof, making this the lively hub of the ship during the day from the sunny Mediterranean to the stunning Fjords. 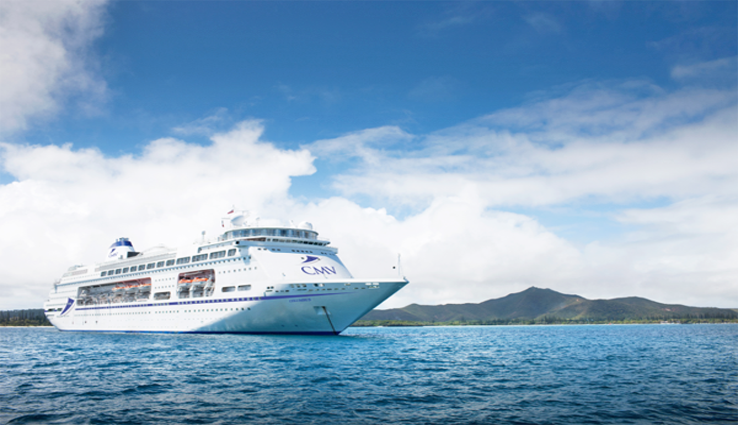 Columbus- flagship of the fleet and popular for her extensive choice when it comes to dining and entertainment aboard. 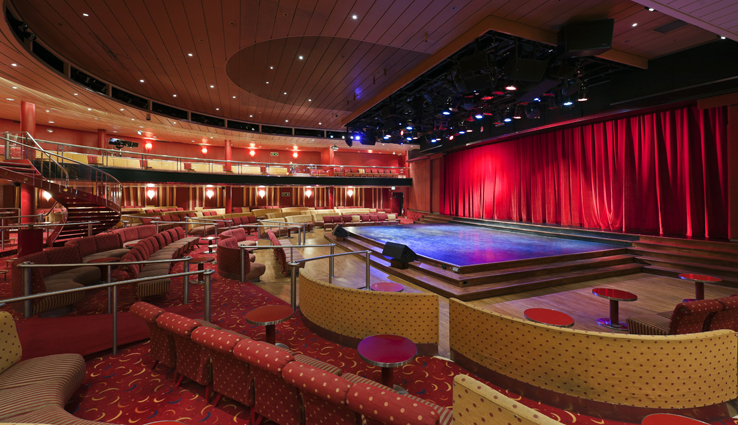 Magellan- celebrated as the friendliest ship at sea, you’re sure to make great friends and have a wonderful time with like-minded guests. 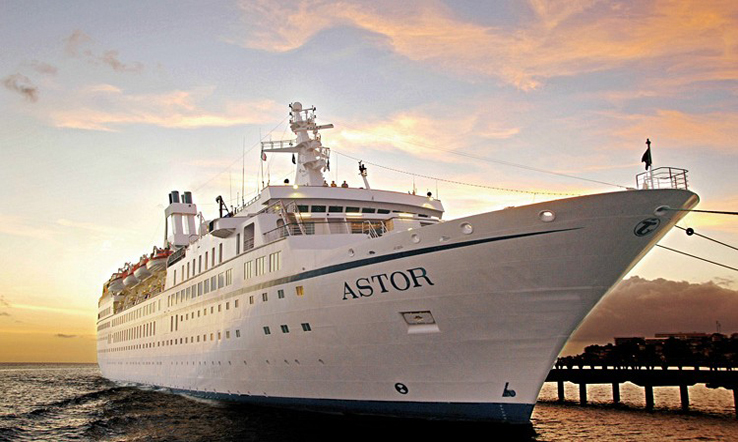 Astor- dividing her time between Europe and Australia, segments of her twice-yearly repositioning cruises are extremely popular. 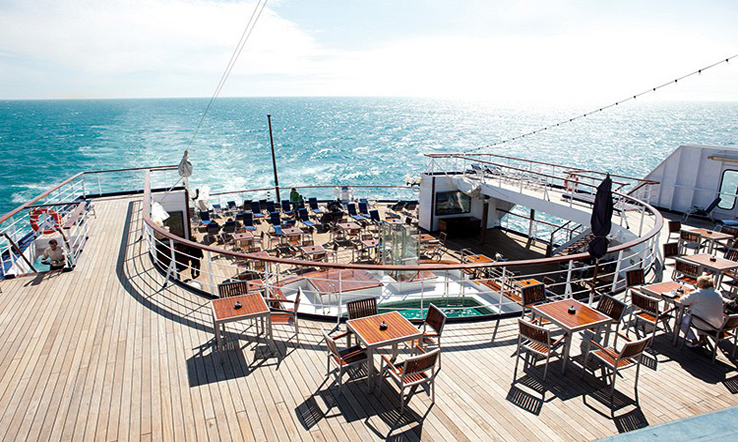 Astoria- a classic ocean liner sailing from many regional UK ports, this CMV cruise ship is ideal for those who want a reminiscent cruise experience with all the modern additions Cruise and Maritime’s discerning guests have come to expect as standard. 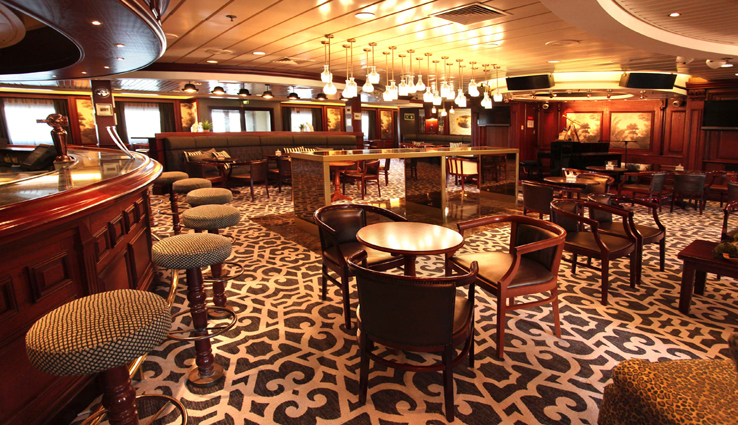 Marco Polo- the longest serving ship with CMV, Marco Polo has built up a loyal following thanks to her fantastic mix of intimate atmosphere and wide range of venues. 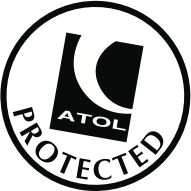 Specialising in no-fly cruises, Cruise and Maritime Voyages offer sailings from regional departure ports across the UK, such as cruises from Tilbury, Newcastle, Bristol, Cardiff and Dundee. Cruise and Maritime Voyages are renowned for offering great value programmes from 3 to 54 nights in duration, with a variety of itineraries around Europe. 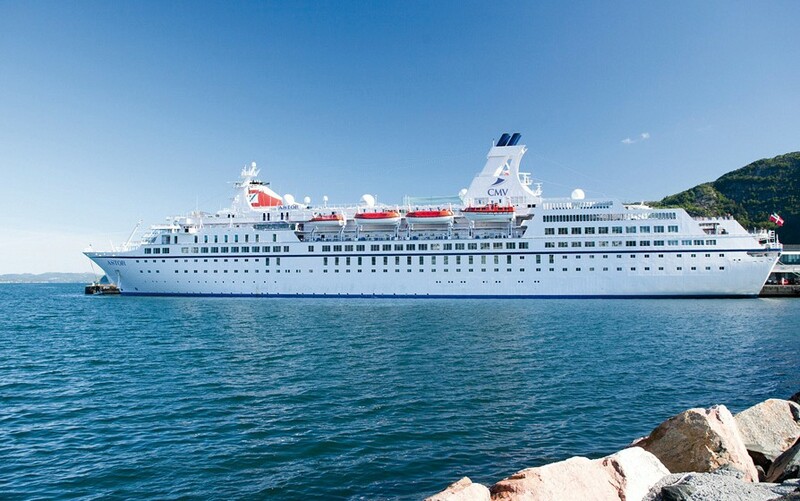 On these cruise itineraries you can discover the spectacular scenery of the Norwegian Fjords, the awesome beauty of glorious St Petersburg and the richly diverse Baltic Cities, as well as the natural wonders of Iceland and the ever-popular cruises round the British Isles. For those looking for a first-time cruise experience or quick break, mini-cruises or party-themed cruises to Dublin are a great option with Cruise and Maritime. Meanwhile, for those looking for an epic voyage, the famous annual world cruise and biannual repositioning cruises are very popular. 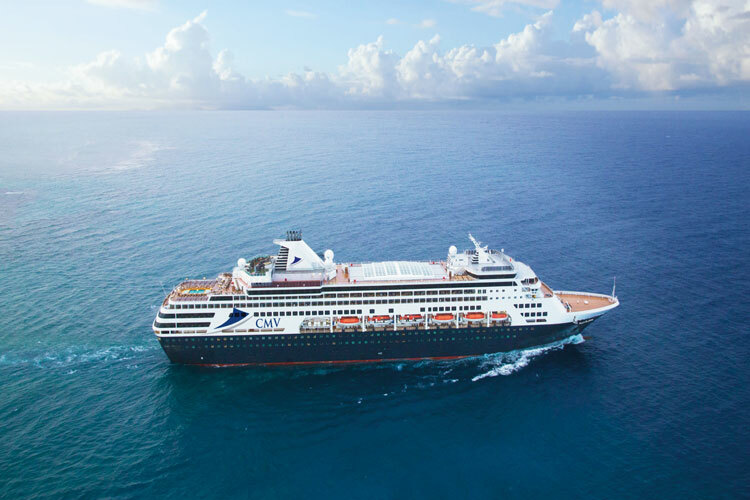 As well as a classic transatlantic crossing, as part of these epic world cruise and repositioning sailings it’s possible to book a fly cruise from the UK to a certain section of the sailing that takes your fancy, such as Dubai and the Suez Canal or the Panama Canal and a week in the sunny Caribbean. 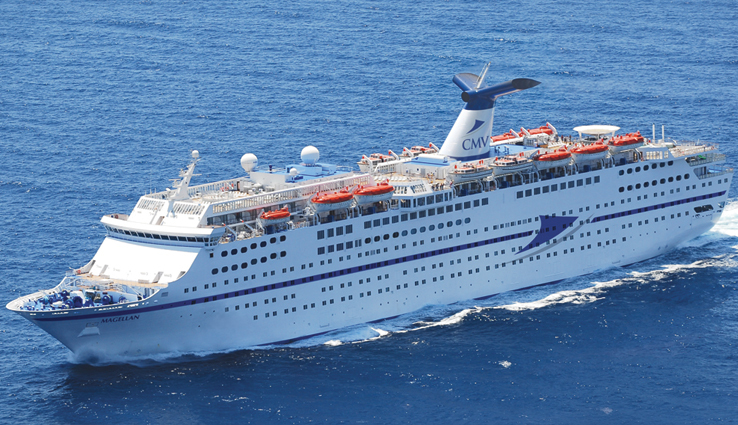 In addition, on a smaller scale, fly cruises are also available for those booking a European cruise. With the option to fly to meet the ship in Amsterdam instead of travelling to Tilbury, this option is extremely popular with guests making their way from the North and Scotland. 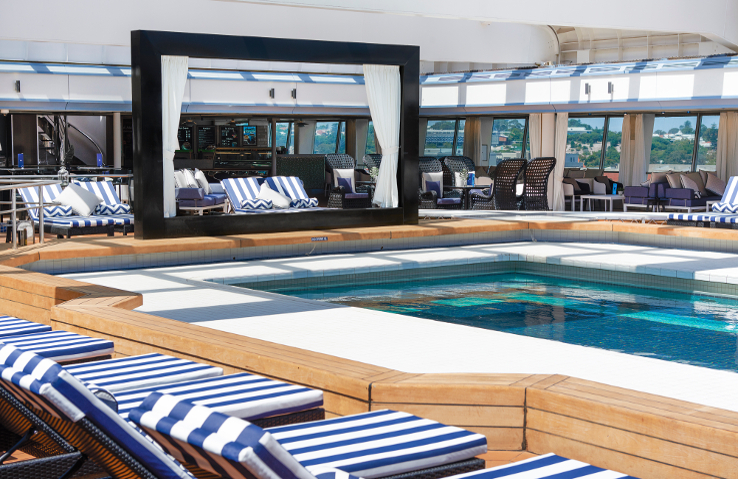 Cruise and Maritime may give you a fantastic cruise as standard in their fleet of intimate adult-only ships, but there’s always the opportunity to treat yourself and upgrade your accommodation package. 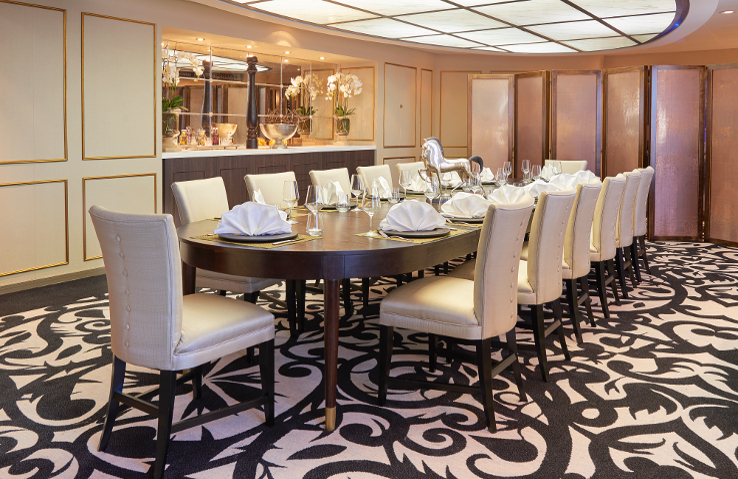 Be it a special occasion or just to make the most of your cruise, upgrading to Level One, Two or Three with Cruise and Maritime allows you to create the perfect cruise for you. 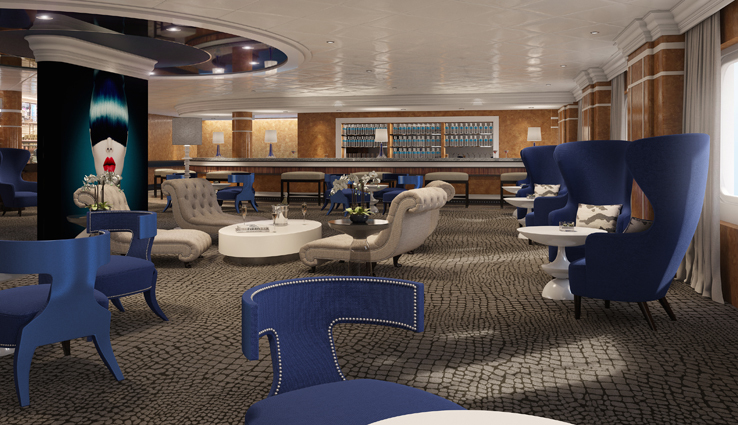 When you upgrade to Level One you will find yourself in a De Luxe Balcony Cabin on Columbus, Junior Suite on Magellan or De Luxe Cabin on Marco Polo. 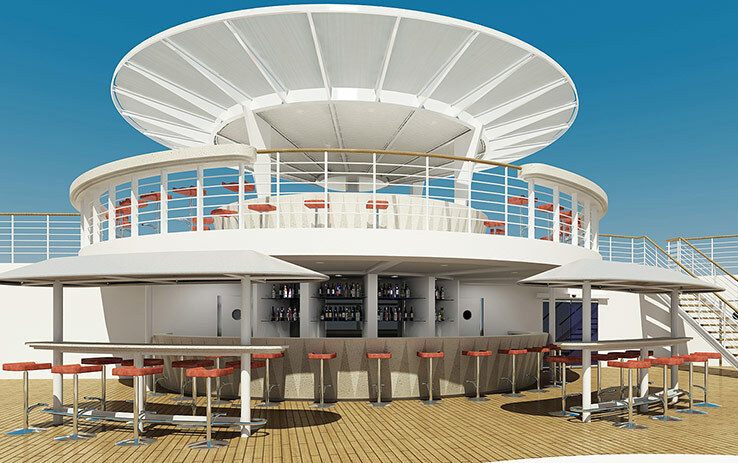 Including these more spacious and high-end accommodations, you will also receive priority embarkation, an atlas, binoculars and umbrella for your use as part of your upgrade as well as tea and coffee facilities, a chargeable mini-bar, fresh fruit and wine when you arrive, bathrobes and slippers, and bottled water. By upgrading to Level Two, you stay in a Junior Balcony Suite on Columbus, De Luxe Suite on Magellan, a Junior Suite on Marco Polo or De Luxe Junior Suite on Astoria, and De Luxe Suites on Vasco da Gama. 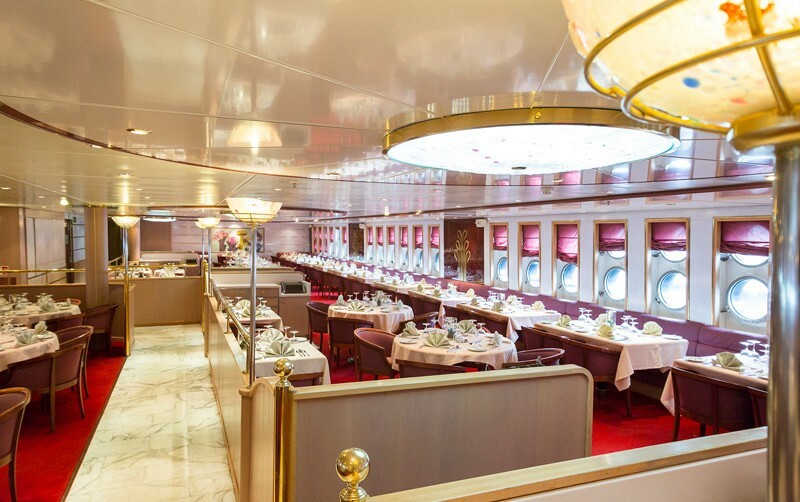 In these cabins, you will find, in addition to the benefits listed in Level One, canapés each evening and a laundry washing service, as well as access to the ship’s DVD collection. Meanwhile, upgrading to Level Three will see you staying in a Royal Suite on Magellan, De Luxe Suite on Marco Polo, Senator & Astor Suite on Astor, the De Luxe Balcony Suite or Owners Suite on Astoria and the Royal Penthouse Suite on Vasco da Gama. 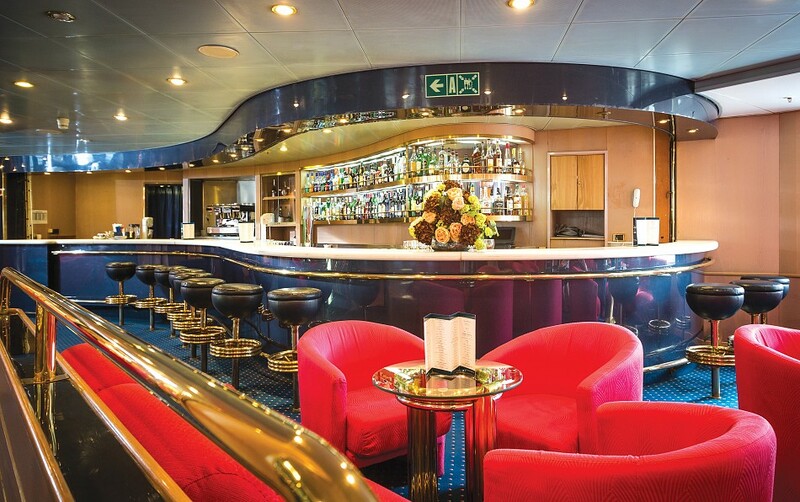 Not only do you get to stay in the finest accommodation onboard these fantastic CMV ships, in addition, you will also receive a laundrette and ironing service, reading materials and guaranteed seating choice at dinner. 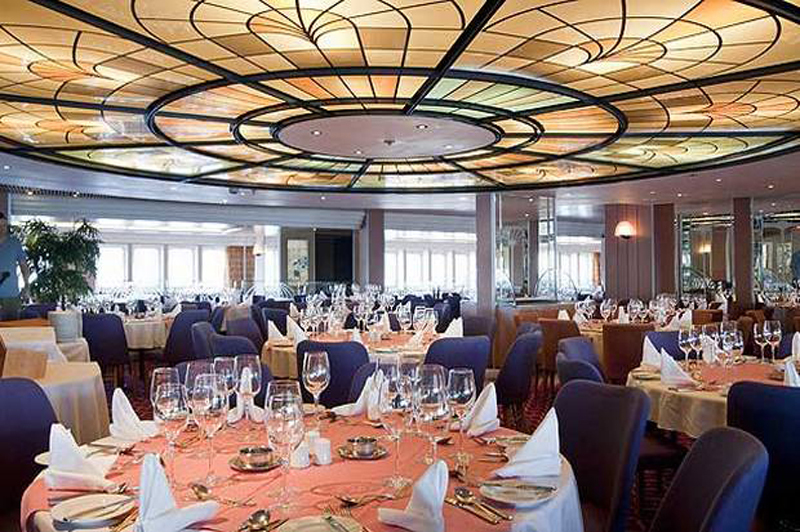 If you would like to see more information about the specific cabins of each ship here and what is included, see our Cruise and Maritime Voyages ships’ cabin details pages.